Well-managed companies already recognize the critical role pricing plays in driving performance. A foundation that underpins excellence in pricing is the key to realizing its potential. Over the past two decades, most companies have recognized the bottom-line impact to be gained through effective pricing. Yet awareness by itself is not enough. 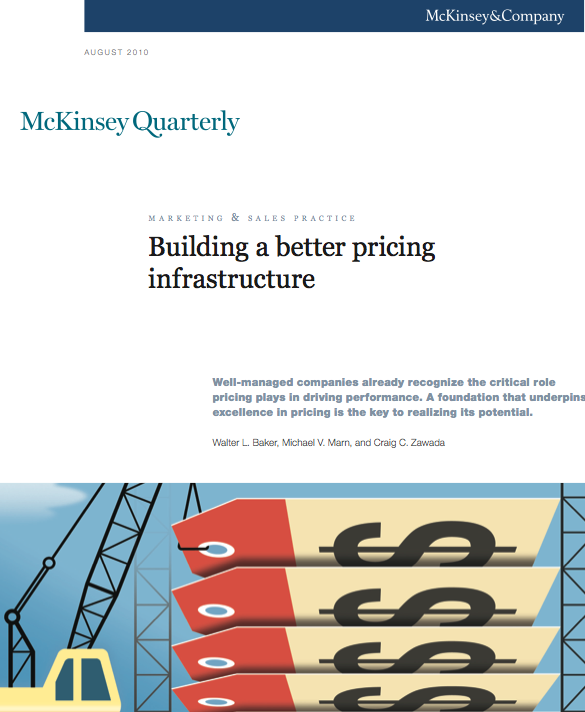 Tapping the full promise of pricing requires an infrastructure to drive real and sustained pricing performance. With such a foundation, a company can establish and strengthen pricing activities by creating deliberate decision processes, a specialized pricing organization, mechanisms that appropriately measure and reward pricing excellence, and robust support tools and systems.